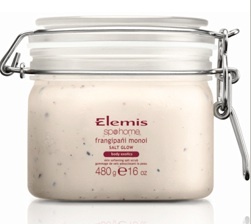 Scrub up on exfoliation for smooth and soft limbs this summer. The micro-algae formula in Cowshed’s scrub helps to tone skin by minimising dimples and stretch marks while pink Himalayan salts deal with dead skin. Made from banana, honey and almonds this scrub is almost good enough to eat! We recommend you stick to using it in the shower though for a nourishing skin treat. Combining ingredients like ginger and eucalyptus with sea salt makes for a warming experience. Great for days when you need a lift, this scrub is like central heating for the soul. The sugar in this formula offers great exfoliation, while the olive and almond oils moisturise. Top this off with a gorgeous rose scent and you get one decadent and effective product. This mineral-rich formula is like a holiday in a jar, combining Tahitian monoi and coconut oils with hibiscus for an exotic treatment. Fancy treating yourself to a professional treatment? Head over to our Body Treatments page. 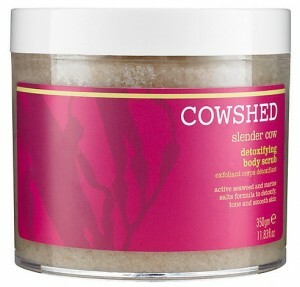 To discover more amazing body scrubs, take a look at the original Independent article.